We're already aware of the fact that Wendy's is coming to Kuwait and will be located in Salmiya link..here are some details, looks like it will be open in mid-December. 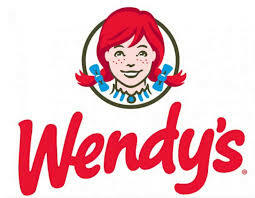 ``Alghanim Industries has announced plans to open the first Wendy’s restaurant in Kuwait, following the signing of a strategic collaboration to expand the US brand across the MENA region. The restaurant will open by mid-December in Salmiya and will be a stand-alone location, able to seat up to 68 inside and 60 outside with a drive-through and delivery service. While this will be Alghanim Industries’ first Wendy's store in Kuwait, the brand is well established in the UAE, with 17 restaurants in Abu Dhabi, Dubai and Sharjah. In June, Alghanim Industries also announced plans to expand the brand into Saudi Arabia in 2017. The Wendy’s-Alghanim Industries collaboration has already been an active one, with investment in existing restaurants, new products and policy changes, a statement said. Alghanim Industries said it has refurbished four locations and opened three new ones, all in the UAE while Wendy’s has launched new products, including a move to 100 percent Angus beef for all its burgers. Alghanim added that it has increased maternity leave benefits, with an eye to attracting more women to the workplace. Oh and take me with you! I remember having Wendy's as a kid back when I used to live in NZ. Can't wait for them to open up shop here.